When an egg mysteriously fell from the sky, Mama and Papa Pigeon knew in their hearts that it was no coincidence. 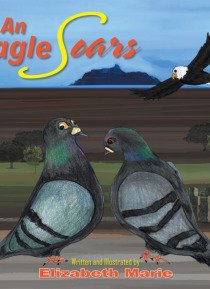 Sure enough - they were to discover that the events surrounding the adoption of a new and unique member into their family would prove to be magical, and a learning experience for all.For Soar, the beautiful creature who graced the Pigeons lives, it was a difficult time. She loved her n… ew family and did her best to fit in, yet she always knew deep inside that she was so much more. Join Soar on an amazing journey of self-discovery as she learns to stand up in the truth of who she is, and finds the courage to shine, allowing the gift of her spirit to soar!